We the under-signed full-time faculty state that the Assembly Chair does not speak for us or represent our views. In my efforts to respect issues of racial inequality typically considered more pressing, I have lost spaces where I can express my own painful experiences related to racial identity. The fact that he has made such egregious accusations and employed such inflammatory rhetoric in his memo, and that no faculty or administration has refuted his claims, is troubling. The way we categorize each other is, for lack of a better term, very black and white, with very little room for shades of gray. I find myself simultaneously an agent and victim of gentrification; I am the reason rent prices skyrocket, but also the person forced out when large companies set up shop to meet student demand. Boston should put the needs of residents first, and take more of an active role in regulation of short-term rentals. When it comes to student safety on campus, the priority should be to make students aware of potential dangers so that they can be prepared. It shouldn’t require a hurricane or a bigoted president for people to suddenly express interest in the plight of the Latinx community. 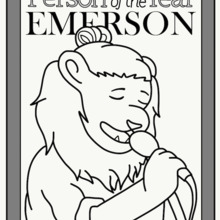 Despite Emerson’s emphasis on inclusivity and intersectionality, I feel that I am not able to fully embrace my cultural identity. The petition might not seem like much, but at least it shows basic respect for Sodexo workers. Frankly, that’s not something that we see enough on campus. Many of us are taught to think of homelessness as different, separate from us in every possible way. We often fail to recognize that homeless people are, in fact, people. Boston is a city divided: on the one hand, it is filled with many affluent college students. On the other hand, over 6,000 people are homeless. Emerson’s repeated claims to have zero-tolerance for sexual assault and discrimination, but reparations to its own policy addressing these exact problems continue to be pushed aside.